Ludie Bond, a public information officer with the 416 Fire, explains the process of forest regrowth Tuesday near the Lower Hermosa Campground north of Durango. 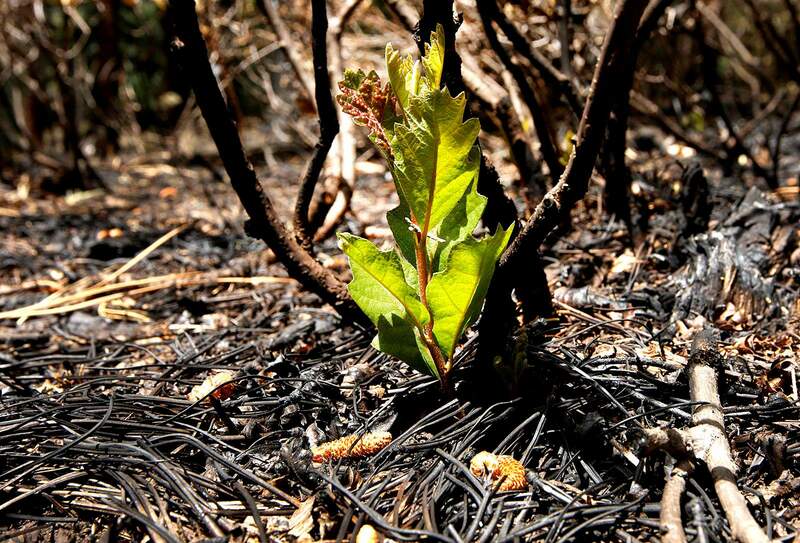 Gambel oak is already emerging in an area burned by the 416 Fire just a few weeks ago. 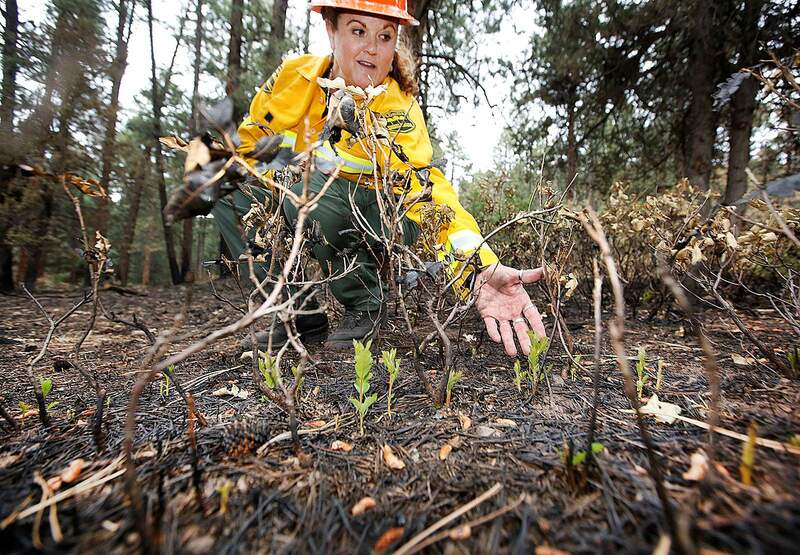 Ludie Bond, a public information officer with the 416 Fire, looks at new growth in the San Juan National Forest on Tuesday near the Lower Hermosa Campground. 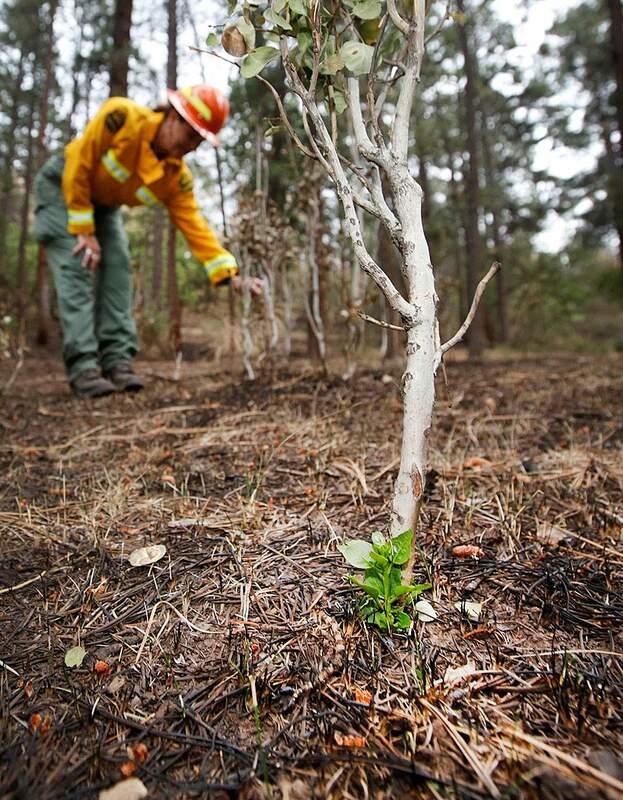 An aspen tree is already emerging in an area burned by the 416 Fire. Gambel oak is beginning to grow in an area burned by the 416 Fire just a few weeks ago near the Lower Hermosa Creek Campground.